Dzhokhar Tsarnaev's lawyers called a Russian historian and a psychiatrist to the stand Tuesday in a bid to save the Boston Marathon bomber from the death penalty by portraying him as the product of a dysfunctional family from a turbulent corner of the world. Tsarnaev's lawyers are hoping his background - combined with their claim that he was heavily influenced by his radical older brother, Tamerlan - will convince the jury he does not deserve a death sentence. Tamerlan, 26, was killed days after the bombing during a getaway attempt. 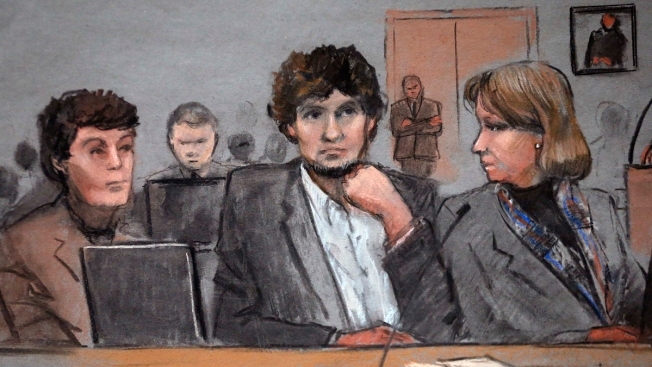 Five of Dzhokhar Tsarnaev's relatives who traveled all the way from Russia to take the stand in the penalty phase of his trial were the first witnesses in the entire trial to elicit any sort of emotion from him. 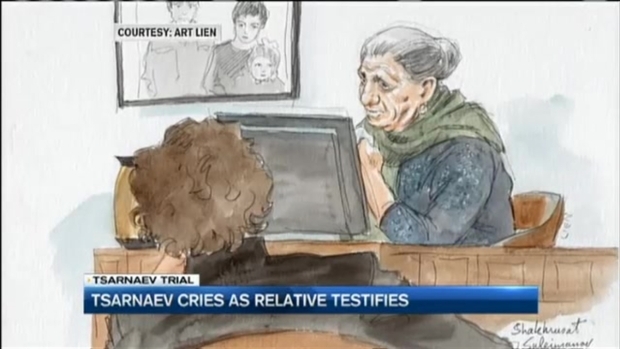 Five Russian relatives - three cousins and two aunts - took the stand for the defense Monday, recalling Tsarnaev as a kind and gentle child who cried during "The Lion King."